A high modulus, waterproof, mould resistant, acetoxy cure sanitary silicone sealant. Ideal for use around sinks, baths, showers and toilets. 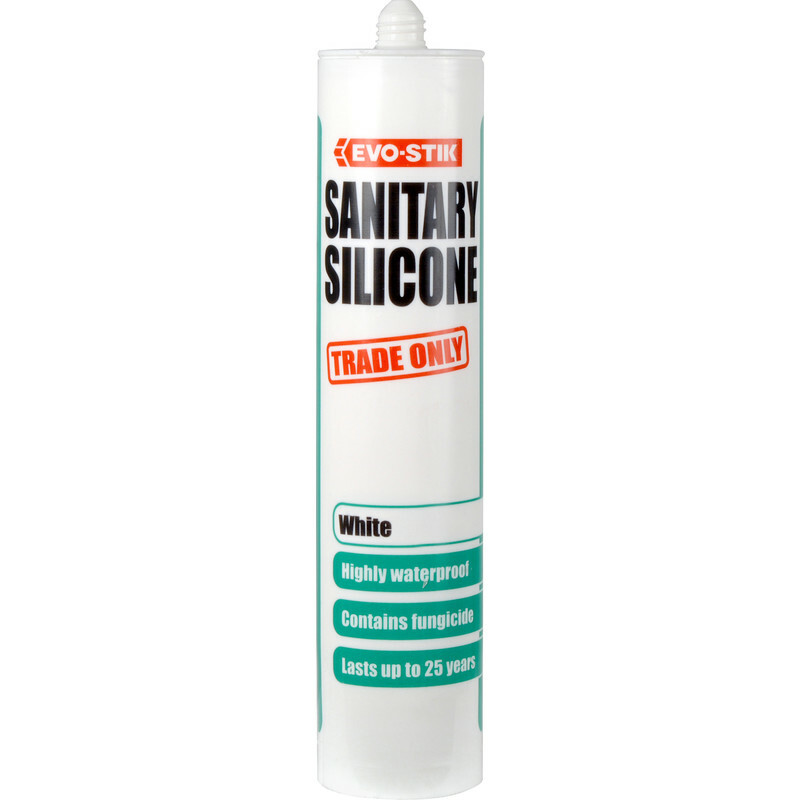 Evo-Stik Trade Sanitary Silicone 280ml White is rated 4.8 out of 5 by 14. Rated 5 out of 5 by Meaky from Handyman Brilliant product, does what it says on the tube at a reasonable price. Great delivery service. Many thanks. Rated 4 out of 5 by jactac from Nice Finish Just bought a tube of this to re-seal shower tray. It has a strong "vinegar" smell which is good as it show's it has a good anti mould properties, smell does go once cured. Nice bright white colour. Slightly over tacky and loose when applying so you really only get the one shot when trying to achieve a perfect line, because trying to "touch up" any imperfections can cause it to smear. Having said that it's pretty good and I would buy it again, I've used far far worse and more expensive. Rated 5 out of 5 by Fighter from Trade Sanitary Silicone 280ml White Just the ticket in all "WET" areas. Rated 5 out of 5 by Pewag from Very easy to work with Great product. Has a really strong acetic acid smell which is always important with a silicone sealant. Rated 5 out of 5 by Box of trix from Good quality sealant Just a few questions on this product, Is the for trade use only enforced by law? Will I get followed home if I buy it ?